Google. . . Meet me at Camera 3! Look Google, I like you, I really do. I've enjoyed a lot of your products for many years and it's been awesome watching you grow the way you have. When you brought Android to us I knew it was a piece of crap, but it showed promise and frankly it was the closest thing I had seen to something that could compete with Apple's iPhone. It has taken about 4 years but I've seen Android grow from being that crappy OS to becoming what it is now, a OS that in my opinion is much better than iOS. So what exactly is my problem? My problem is that you guys are kind of lazy and disorganized. Android has been doing great in the phone market because most people just want a phone they like that will be able to make calls and handle things like their calendar info and have some basic tools. No one wants to do anything super complex on their cell phone, so you've been able to get away without having to work too much on your services and applications. But when it comes to the tablet world people need more, a lot more and you are failing because you keep treating this the same way as the phones. Tablets have a bigger screen than phones so yes I expect there to be Tablet specific apps and phone specific apps. I hate it when a dev makes two different ones and tries to sell me both separately, but I certainly feel that there is a lot of applications out there that only work on tablets. So why is it that you don't have a an easy way to search for tablet only apps on your market? Part of what makes Apple's iPad great is the great applications that Apple develops for it. Things like Garage Band are programs that just a normal developer would most probably not be able to make. I can not think of a single REALLY good application that Google makes for Android Tablets. All of your applications look like phone applications that are just running on a bigger screen. You guys seem to just be a mess of people all working on different things without communicating at all. The Chrome browser for Android is a good example. How can the default browser for Android be so much better than Chrome when you guys make both? And what's with Google Chrome OS? You have a perfectly good light OS with Android! Another thing that Apple really has going for it is their ecosystem, they just have a lot of things that work together beautifully. Google has everything it needs to be able to have something better and yet it's not happening. You have Google Talk which actually has a very good video chat function, you have Google Message on Google + which is very good for sending messages between phones that use the system, you have Google Voice which can send Text Messages using your google voice number and then there is the original messaging app on Android. Why is it that these are not all combined so that you can easily continue your conversations no matter where you are at? Instead of so many messaging type apps there should just be 1 really good one! How about this other example, when I take a picture it gets uploaded to my Google + account, but really it just goes into a private folder in my picasaweb account. I have Picasa 3 on my PC at home, how come that doesn't automatically download those pictures?? Right now I have to have Dropbox also upload my pictures (so they are being uploaded twice), dropbox then pushes the pictures to my computers. I have picasa always scanning that folder so as soon as it finds the pictures I can go ahead and view them on my pc. Google you are a great company for the most part. I still feel that my Android Tablet has plenty of good uses, but until you start developing more high quality tablet apps, it's always going to be number 2 or number 3 when Windows 8 comes out. There is plenty that I hate about Apple, but there is plenty they do right as well, so don't be like them but certainly learn from them. I've always loved the Violin, I don't know much about it and I sure as hell can't play it, but I've always enjoyed listening to it. Just recently I found out about this Lady called Lindsey Stirling who is not only very good with the Violin but she also has some amazing videos on You Tube, so I figured I'd post some from time to time. This specific video is called Dubstep Violin and it was actually recorded on some real Ice Castles made in Colorado. I know it’s no surprise to anyone that I’d want to write an article blaming Apple for not doing enough to help the people at Foxconn, but you have to remember, there are many reasons why I dislike Apple, these factories are just one of them. Today I wanted to share two of the reasons why I feel Apple needs to fix things at Foxconn. But first for those of you who have no idea what Foxconn is, it is the place or places where Apple makes most of it’s products. Foxconn is basically Apple’s Subcontractor. There are a few different locations and the one in Shenzhen alone has over 400,000 workers. Now, think about Milwaukee, the city has 600,000 people, so, yea, it’s a big place. In the last few years there have been many reported deaths because of accidents and suicides. The company actually put up nets around the buildings to catch jumpers. I can’t even imagine how bad things have to be where Killing yourself is the better option. I mean, whatever happened to just quitting? There are plenty of reports out there with information about Foxconn, so feel free to Google it for more info. Now, I do need to let you know that Apple is NOT their only customer. Nintendo and Microsoft and plenty of other electronic companies use Foxconn. So why am I and so many others in the media focusing on Apple? I and so many others single out Apple because Apple is 60% of Foxconn’s business. If Sony or Nintendo or Microsoft or any of the other companies that do business with them was to leave, it wouldn’t really hurt them very much. But if Apple was to leave, well, that’d be different. When you are the biggest customer it’s amazing how much you can influence what your sub contractors do. Apple has always been really good at doing their inspections and publishing them, but usually these are done once a year and they don’t seem to change from year to year because nothing is really done about them. People complain for a bit and then we forget about it till the next year. I do have to say that since things are getting so heated now, Apple did allow the Fair Labor Association to go in and inspect everything, but again, these are just inspections, I would really like to see change. It is also a scheduled inspection and there have already been reports about how Foxconn hid their underage employee’s before the inspection. They also allowed ABC news to go in and record, but ABC news is owned by Disney which has a strong Apple presence in it’s board of directors. So that’s my first point here, Apple, when you are the biggest you are also the example. My second point is Money. Last Tuesday February 14th Tim Cook the new CEO of Apple was talking about how much Money Apple has. "We have more cash than we need to run the business on a daily basis," he said. Well maybe they need to stop being so greedy with their money and start paying those people more and let them work less. Maybe they could charge us less also. Or even better, charge us the same and bring some of those works right here to the U.S.A.? Seriously, people are dying making your stuff and you are sitting there talking about how you have more money than you need to run the business??? I really do hope that this FLA inspection turns into some real change. That way I wont feel so bad about being a Techie. In the meantime, I’m not going to say to not buy Apple products because that would be hypocritical, like I said, just about every electronics company out there deals the same way. But do be smart about what you buy and when you use it remember the hard work that so many people put into it. When you think about getting your kid an iPad so they can play, remember the kid that helped make it. So at the very least lets be appreciative of what we have and take good care of it so we honor those who worked on it. Did I just say what you thought I said? Yes, yes I did, but don't get me wrong, I am not becoming some apple fan boy or anything like that, I'll most probably end up getting an iPad 3 but that shouldn't shock anyone since I always do enjoy having something that runs iOS in order to stay up to date with what is going on and currently I don't have any iOS devices. So what exactly do I mean? Look, if there is something I hate about Apple it is how closed off they are, but if there is anything I admire about Apple is how good an ecosystem they have. There may be a lot of things they don't have and a lot of things they wont let you to have, but the things they do have work, and they work great. What bothers me with Google is that they have a LOT of the same things Apple has, but they don't work anywhere nearly as good. Face-time for example, Google has a chatting software that can do face to face, but it doesn't really work all that well, I can't really do a video call with any of my Android friends unless they happen to be running something like Skype and are logged in at the time. Then we have a lot of things that Google actually does better, but they don't make it look anywhere near as nice as Apple does. Mostly anything CLOUD related I certainly believe Google is way ahead of Apple on. Email and calendar and contacts syncing is so much better on Android in my opinion but again it's not a look that makes people feel comfortable and everything seems to be so separated from everything else. The good news is that Google is indeed working on trying to make apps look nicer and trying to make all their different applications work nicer together, so we will see how that goes. I think Google certainly needs to start spending more $$ on design and marketing. On one hand we have beautiful and capable, on the other hand we have Not so beautiful but a lot more capable, I just don't see why a Giant like Google can't mix it all together and give us the best of both worlds. I can only HOPE that with the purchase of Motorola Google starts making some of their own hardware and that they put as much time and effort into it as Apple does. I love Android, but I'm getting sick and tired of all the disorder and going back to iOS alone isn't an option for me. 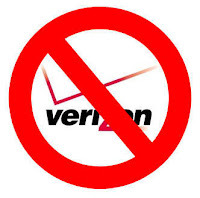 Ok it's time for me to rant a little here, this time about Verizon Wireless and how it seems like each year they can do less and less for you. I remember a few years ago I had a cell phone that started giving me problems with charging, it just wouldn't charge anymore. I went over to a Verizon store and told them about it and they gladly exchanged the phone for me for a refurbished phone. This was a Motorola Droid phone, so it certainly wasn't that long ago, somewhere in 2010. Late January 2012 my sister dropped her HTC Thunderbolt and the screen on it cracked. We have the insurance service (Asurion) from Verizon so I went ahead and looked up what I needed to do in order to get it replaced. Basically everything needed to be done online but the insurance company would overnight a refurbished phone and then we had 10 days to send the old one back. The only part here that really bothered me was the fact that she still had to pay $100 to get the replacement. I don't like it since we are paying monthly for insurance, but hey it was her fault that she dropped it and $100 is better than $500 for a new one. I did wish we could have just gone to the store and gotten this taken care of, but I figured since she did drop it, I can certainly see how this would be acceptable. Well all of a sudden this Saturday that phone decides it will not charge anymore, just like the time my Droid wouldn't charge. THIS in my opinion is not our fault, this is a manufacturing issue. So as a customer I do feel like I should be able to get much quicker service. So I take the phone to Verizon just like last time to get it replaced. However this time I'm informed that they no longer do that, now I would have to contact the insurance company again and wait for them to send me another one. The guy at the store did plug it in and verify that the phone no longer charged, but he insisted that there was nothing he could do. I had him call another store and they also said the wouldn't be able to help. At this point I was just already very upset because I had been calmly waiting for a while for this guy to finish with the previous customer only to be told that I have to deal with the insurance again and that basically I'd have to be without a phone until they send me another one and that if that one was messed up also then I'd just have to keep sending them back until I finally get a good one. They didn't say that, but if every time I get a bad phone I have to deal with them, then obviously that's what would happen if I got a bunch of bad phones in a row. I had a tablet internet line that was not on contract, so right there I told the guy that I'd like to start canceling my lines because it seems like the longer I stay with Verizon the less and less they can do for me. The guy tells me they can't cancel lines there, I would have to call verizon. This blew my mind, the store is totally useless if you want to do anything other than buy a phone! To be fair, the guy one the phone that helped me cancel the line was very polite and he did give us some promotion that saves us $20 a month for 12 months. Also this is my personal experience with Verizon this time, I'm sure the way cell phone companies do things here in the US it is probably the same with other carriers. I love the Verizon service here in the US, I really do, I get really fast 4G in a lot of places, I am basically never without a signal, so I will give them that much, but year after year their customer service skills get worse and I'm just not sure how much longer I'll be able to continue renewing my contracts with them. But what's the option right now really? AT&T? Never. Sprint? Maybe. T-Mobile? Kinda scared since I'm not sure what will happen with that company. US Cellular? LOL good one. I used to call this segment "I hate Thursdays" because I used to do it on Thursdays but I guess the title was getting confusing and I didn't want to be stuck to only a specific day of the week. So I'm now calling this "Things that Upset me". Today I want to talk about Donations. Now I'm not saying that donations upset me. Noooo, what upsets me is the companies that seem to think that you donate money because you have SOOOO much money left over that you just want them to call you over and over asking you for donations. In the past I've been blessed enough that I've been able to give a donation here and there, but I no longer want to even do that because you are just barraged with phone calls and emails from these people asking for more. I really don't know why they do this! I mean, yea I understand that they need money but how about just saying "Thank You" to those that helped and leaving them alone? Have you ever donated to something and then regretted it because they kept calling? Today I’d like to talk about Bandwidth throttling. I figured with the way companies like AT&T and Verizon wireless keep trying to charge more for less and the way our smartphones require more and more data each day, some of you out there may become victims of Bandwidth Throttling. But even if you don’t become a victim, it’s still good to know what it is and how it could happen. 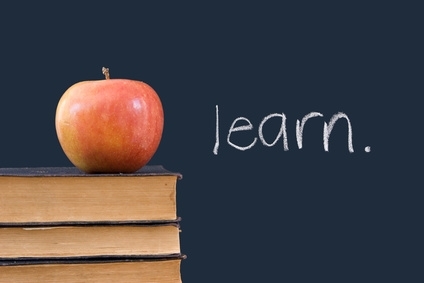 First we need to go back and understand something. A couple of years ago pretty much all of these companies offered Unlimited Data. But even then it was never really “UNLIMITED”. If they felt you were using up too much data they would Throttle your connection, this means that they would slow down your connection like crazy making it almost useless. It was ok because they were technically still providing data, so you couldn’t say that they were not giving you unlimited. With Android phones and iPhones becoming so popular, their networks started to suffer more. So now they had to throttle even more than before. In order to get rid of the confusion they decided to get rid of the UNLIMITED plans and give you actual limits. So instead of paying $30 a month for UNLIMITED you were probably now paying $30 for 3GB of data. If you used more than 3GB they would charge you something like $10 to give you another 1GB and so on. However, those of us who were customers before the change had the option of keeping our Unlimited plans until we decide to make a change on our plan, then we can only chose from the new plans. The problem now is how some companies have decided to deal with the UNLIMITED customers that have been there longer. AT&T in my opinion is by far the worse. If you live in a city where traffic is pretty heavy (internet traffic) then they’ve been known to throttle people on Unlimited plans as early as 2 Gigs of Usage. So you could be paying $30 a month for unlimited and your friend could be paying $30 a month for 3GB and your friend can enjoy his 3GB but you are throttled after 2. This to me seems EXTREMEY unfair. Once you are throttled it stays like that until the next billing cycle. Verizon is also doing it but they are being somewhat nicer about it. Normally they wait till way past 5GB of usage (normally being key word here) before throttling and even then they only throttle if the network in your area has very heavy traffic. The good thing here is that as soon as the traffic in your area dies down, you get back to your faster speeds. T-Mobile also does throttling but they at least have the decency of making it clear when it’s going to happen. Their limit is 5GB, once you pass that you will get throttled. Sprint is currently the only one that does not Throttle you. Their Unlimited means unlimited . . . . so far. So do be careful when watching youtube videos on your device or streaming music over Pandora and stuff like that. Remember that if there is a Wi-Fi hotspot in the area you should always try and connect to that before doing anything that consumes a lot of data. Hope this has been of some use for ya! I've decided that in order to do a better job here at Anarchy Live I need to create some structure. At one point I had brought a thing I liked to call "I hate Wednesdays", the idea was that on Wednesdays I would talk about something I hate. Well I'll most probably be bringing the "I Hate" idea back, not sure if it'll still be on Wednesdays or when but I figured I should also bring some good and not just complain. So I came up with a new segment called "Try This". "Try This" will be a segment that I will try to write every Wednesday night where I tackle an issue a lot of people seem to have and give my personal opinion on how I would fix that problem. SO, lets start with my first problem! There is a lot of us who complain about the battery life on our phones. Some of us do it for the hell of complaining while others do it because they really do have a problem. People who work in an office and can manage to sit in front of a computer most of the day should really invest on some USB cables that they can hook up to a computer or a power outlet so they can keep their phones charging, however, there is a lot of people out there who can't really afford this luxury. If you are one of these people and you carry an iPhone with you, then really the only option I can think of is one of them portable power packs that will charge your phone on the go. I have never used one of those so I can't tell you if they are good or not. If you have an Android phone chances are that the battery on that phone can be switched. In this case I would seriously look into a spare battery charger so that at night you can charge your phone and an extra battery. That way as soon as your phone juice runs out, you have a backup. This is kind of nicer than carrying a portable power pack because you don't have to charge the battery, you just switch batteries and you are back to 100%. They also sell Extended Batteries for a lot of Android phones. These are simply larger versions of the original battery but they usually do make your phone thicker. Usually they come with a new back cover for the phone so that it can close with that new extended battery and chances are that if you have any type of docks they will no longer work with the extra bulk of the extended battery. However if you find that you normally could just use a few extra hours of battery, one of those might very well be worth it. Now if you don't want to be dealing with any of this extra stuff and you are a Verizon customer, there is 1 phone that I highly recommend. 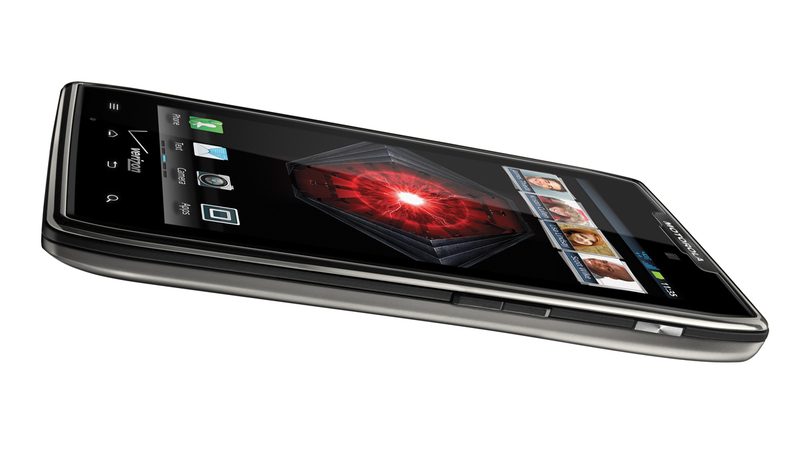 This is the Motorola Razr MAXX. So what is so special about this phone? Well, aside from having some very competitive specs right now, this thing also comes with a 3300mAH battery. What does this mean? Well most phones come with anything between a 1500 and 1800 mAH battery. Most extended batteries are around 2200mHA. So with a 3300mAH battery you should really be fine all day. The only thing that I don't like about this phone is actually the fact that the battery is NOT removable. So once that 3300mAH battery runs out, you will need to charge it, there will not be an option to swap it. Finally lets say you are just going to go on a trip and you don't know which of your devices will run out of juice when. Well then I would highly recommend something like a Power Bag! These bags are amazing. Not only do they have a lot of pockets for your gadgets, they have a portable power supply in them with cables for charging your devices. It has Micro USB, Mini USB, iPod/iPhone/iPad, and it has USB slots so you can connect your own. You can pick one up on Amazon.com for around $120. 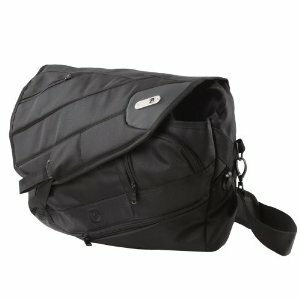 One of the things I really like about this bag is the fact that it comes with a power cable to charge the battery in the bag. You just plug it to the outside of the bag and let it charge. You can leave all your devices plugged in and charge them all over night as well. You will not be able to charge your laptop with this, you will be able to most possibly fit your laptop but you will not be able to plug it in to charge. So you won't be able to charge anything that requires being plugged in to an outlet. So for example, my Motorola Xoom is a no go with this. Well I hope this has been useful to some of you. Please let me know if any of this advice worked for you or if you have any problems that you'd like me to deal with in the future. Not long ago I wrote about how a lot of stores were feeling threatened by Amazon.com because so many people are finding Amazon to be so much easier to get their stuff. I mentioned how instead of complaining, these companies need to come up with ways to make me, the customer, choose to go to their stores instead of buying the stuff online. Well today I want to talk about a particular store that seems to be TRYING very hard to get me to not buy from their store anymore. This is the Best Buy store located in Vernon Hills, Illinois, although I know the problem is in a lot of other Best Buys and not just this one. I’ve never been a big fan of Best Buy stores to begin with because the people they have working there for the most part are not really nerds, they are sales people. This can be somewhat understandable considering the fact that most nerds would probably freak out at the thought of having to deal with customers. But that doesn’t change the fact that I hate hearing someone ask a question and have them get some BS answer. Answers like “Well the more Megapixels the camera is the better the picture will be”. Don’t get me wrong, I’ve come across some really good guys at Best Buy, but that’s just not very normal. There is two reasons why I like going to Best Buy, I get to go and try out a lot of newer technology myself and I get to buy it NOW for the most part. Well, Amazon is getting pretty close to the getting it NOW experience. What Amazon cannot compete with is with the trying it out experience. You can view all the videos you want or read all the reviews you want, nothing beats the experience of actually touching and playing with a device yourself. So you would think these stores would be trying to make that experience much better. But no, I keep getting more and more disappointed with Best Buy. Not that long ago I wanted to buy a laptop from them, the one I wanted to try out wasn’t on because it didn’t have a power cable. So I ask if they could get it working so I could check it out. I could not believe that at BEST BUY they didn’t have a power cable they could use for this computer. You would think that if ANYONE had a cable for it, it would be Best Buy. This weekend I decided to replace my Motorola Xoom with an Asus Transformer TF101. I wanted something with a good keyboard and I don’t think a Bluetooth keyboard can beat the benefits of the Transformer. They had the tablet out, so I was able to play with it fine. But I really wanted to try out the keyboard dock because I had never tried one. So I go over to one of the guys there and I ask if I could try out one of the keyboards. The guy responds with “What we have out there is it, we are not going to open one up so you can play with it”. So I ask “Not even if I’m planning on buying it?” and his response was “you can buy it and if you don’t like it return it”. Which of course is BS because if they are OK with me returning an opened product then I don’t see why they wouldn’t be ok with just having one at the store people can play with. I wanted my tablet so I bought it anyway and luckily I’m very happy with it, but I’m like 1 bad experience away from just boycotting best buy. Best Buy, for many years you were the king, but you better change the way you do business or you will find yourself in a very bad position. Every once in a while you come across a movie that completely redefines a genre, a movie that is so great that you expect all other movies to be just as good. A movie that you will for ever remember. Well, Chronicle is none of these things. I don't really have much to say about Chronicle. They kind of wanted to give it that "recorded at home" feeling and they certainly did for a lot of parts but there is still a lot of parts where it's just a regular movie. The special effects used can be pretty neat sometimes. They are not anything great but I do think they did a good job with it, I specially remember a part where the main character is moving some bodies around on the floor with his mind, it just looked good. The acting is. . . . pretty horrible in my opinion. The story is pretty horrible as well, there is just too much that is never explained and there is too much that happens that just doesn't make any sense. Things like a guy who can fly very fast rushing somewhere in a car instead of just flying there. With all this said you'd think I hated the movie. I wouldn't go watch it again and if you have a big family I certainly would just wait for rental. But overall I do think the movie was a neat idea that made it at least entertaining. So I will give this one 3 out of 5.